. : Halley's BIG Bad Goals :. Another RFD part, can't remember who, lol. 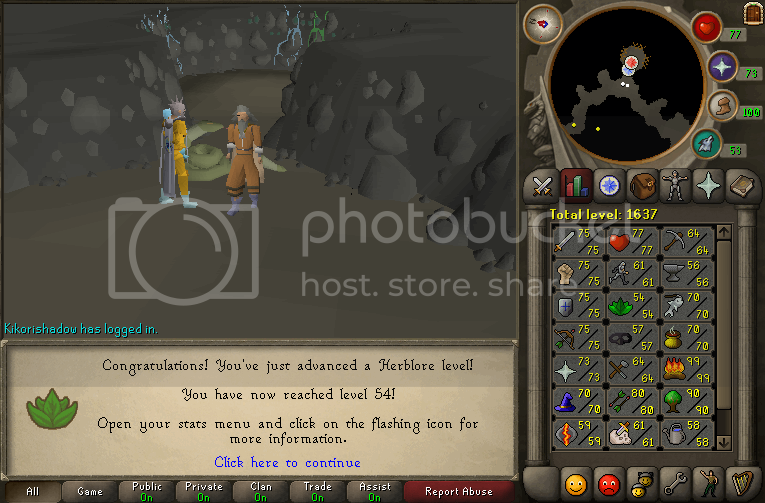 Highest ever tears (113) lead to 54 herblore. 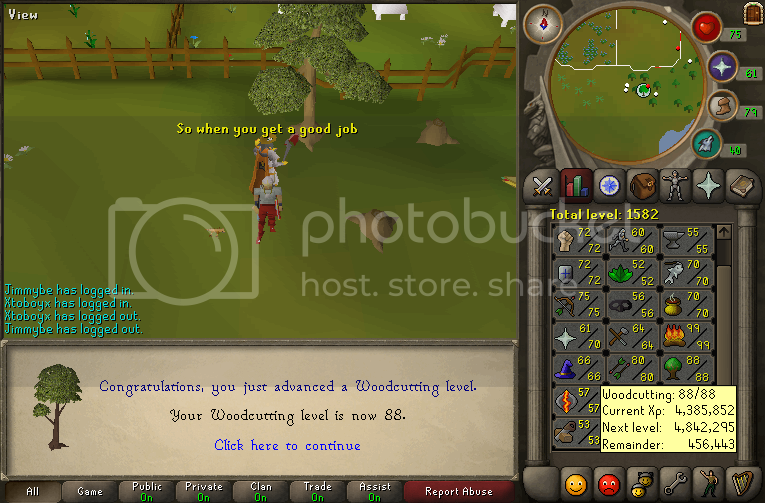 60 Farming (very happy about) lead to the ability to grow Yew trees. Prom tomorrow night as well. Should be good, but I need some sleep. Good night! It's been a busy month, both on RS and in real life for me. I'm in the middle of my GCSE exams, so I should be revising for those. 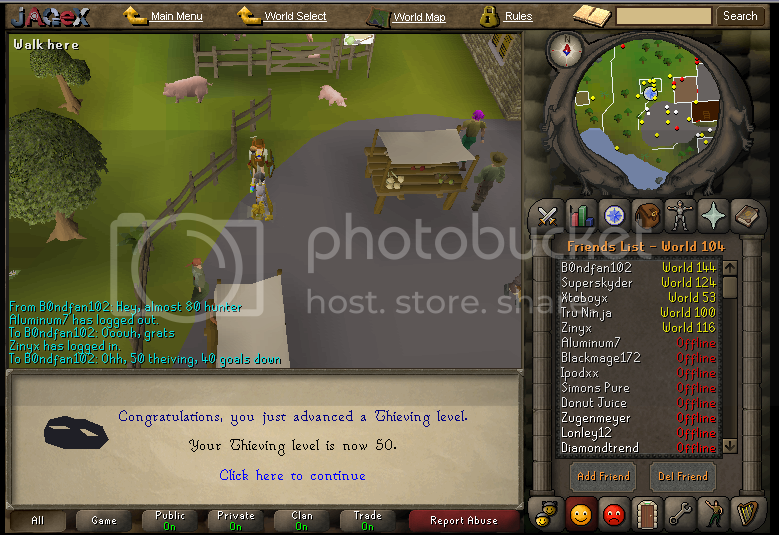 Sadly, like many people my age, I always find something better to do... As such, I've gained about 50 levels in runescape since my last update... Yep, 50! 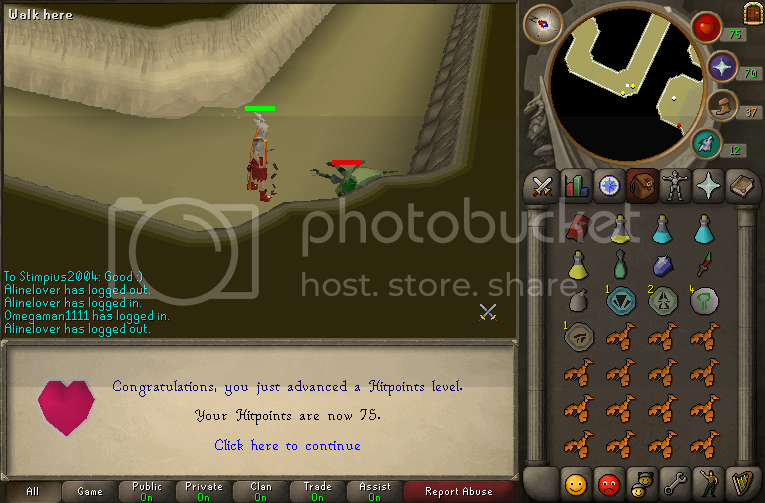 Oh, and my total level has moved from around 1575 to 1625 in under a month - ownage, yeah? I think so, I've only just realised how much it's changed. Probably due to my love of skills like farming. Anyway, back to real life work, I'm f2p for a week or so - I can do without the distraction! A Clue with nothing much, see it here. RVA Clan Wars & There's a war vs RV tonight. Well, I had posted this (I thought I had anyway), but I'll post it again. 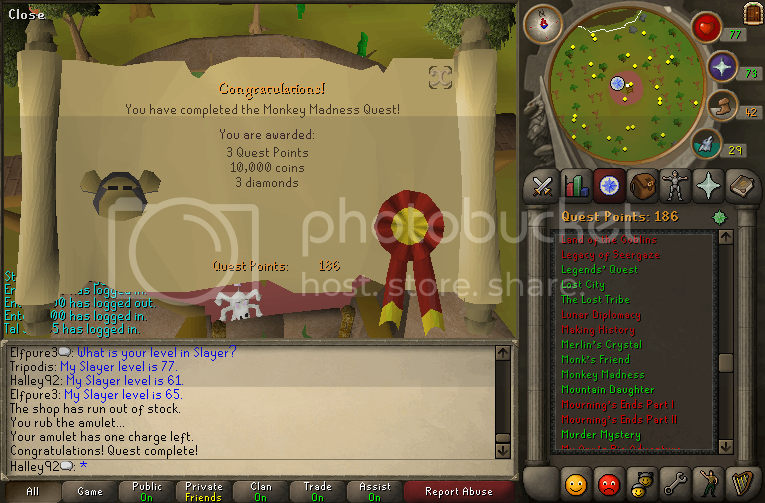 Since the 27th of March, I've done a few quests and got a few levels, but I've had exams so I've not done much really. And the predictable RVA events! I may remember more later, but I'm enjoying it which is good. Captain of the RVA's Psi squad now, that's cool - a great bunch of people. 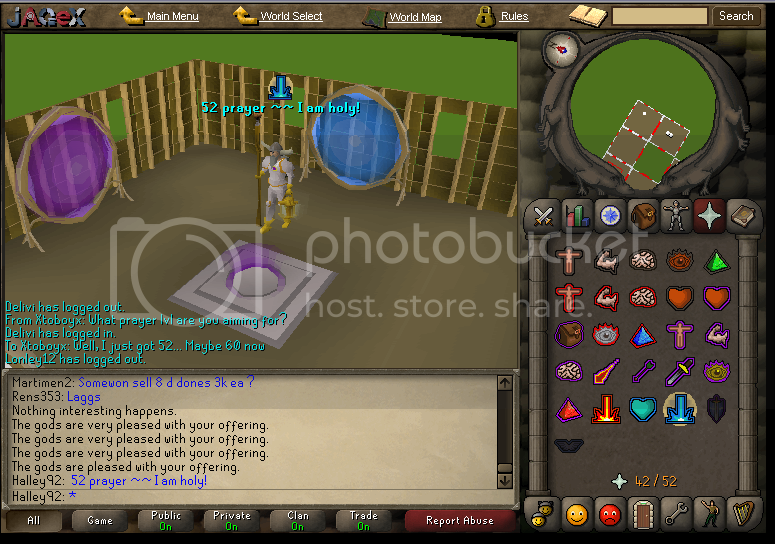 Even talked to my two best RS friends who had quit (Malkin and Stimpy <3)... Just settling down to my big goals, 75 prayer and 99 WC. 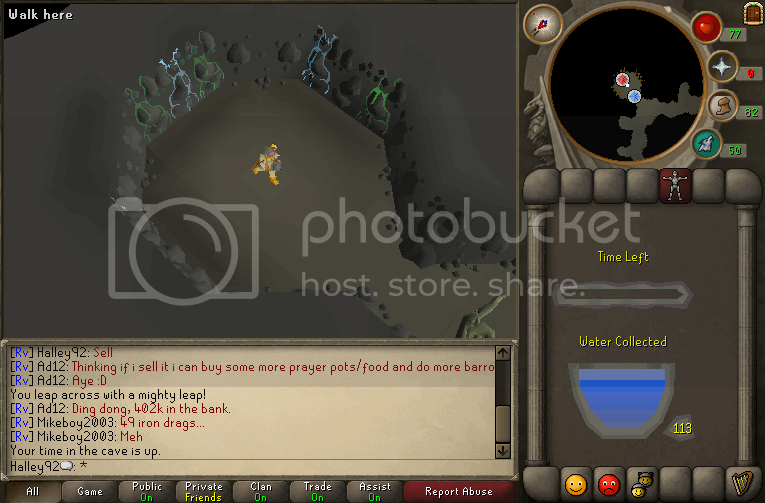 I'm really enjoying RS, maybe even a little too much! Okay, I know I've not been playing a lot lately, but that isn't really a bad thing. 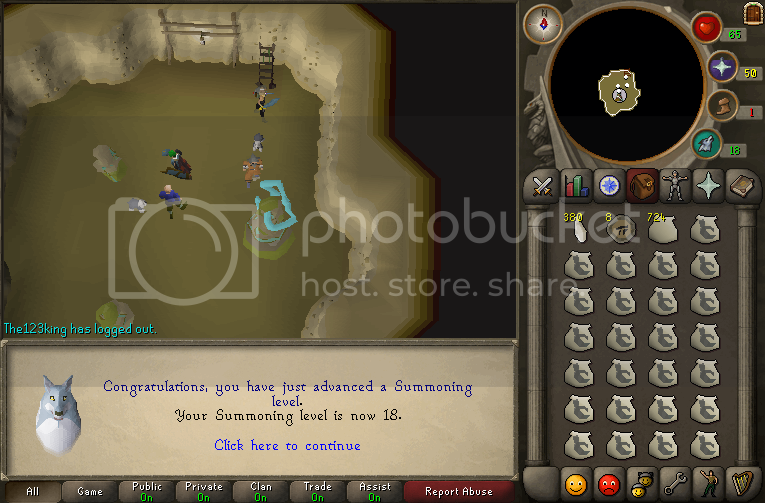 But I have played a little bit lately since the summoning release, I've just been too busy to spend very much time playing PC games, as you will see! I've had exams all this week, and by that I mean GCSEs (my final one being this afternoon), so I've been revising hard for them. I'm wanting to go to veterinary college, so I need a good set of grades at this level to stand a chance against other entrants. Oh, and not that I'm making excuses for my lack of levels, but I've added and updated over 50 items database entries and nearly 15 inhabitants entries. Check out the databases, and if you see anything that you can add to or something that's missing, don't hesitate to drop me a PM! I have access to the database whenever I'm online, so I can edit anything anytime. 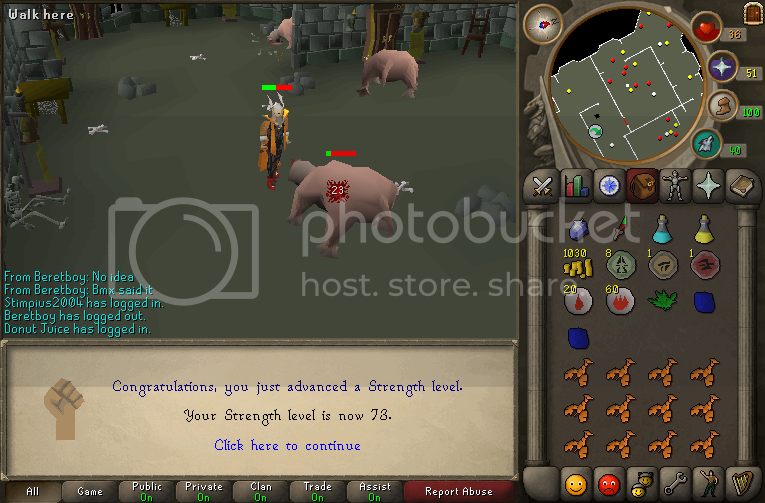 50+ all skills! 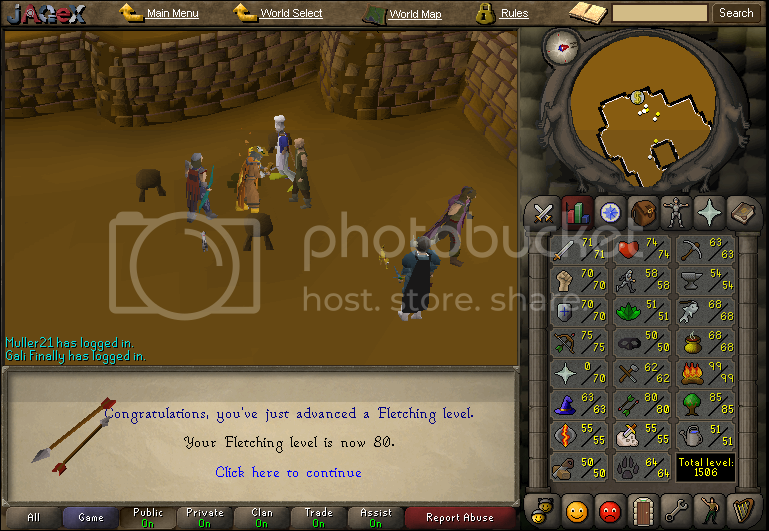 (50 construction at last) 79 and then 80 fletching! 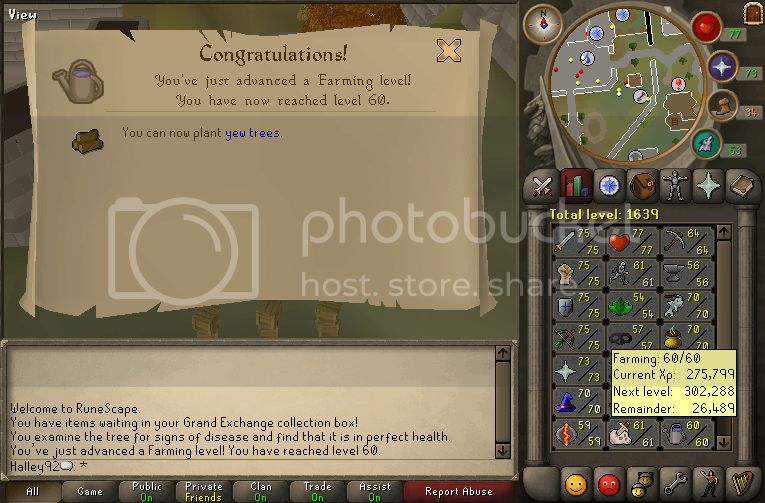 51 Herblore and 51 Farming. Oh and I just scared myself when I saw my name in blue! 65 - 70 Prayer, 49 construction, 78 fletching, 1500 Total level! 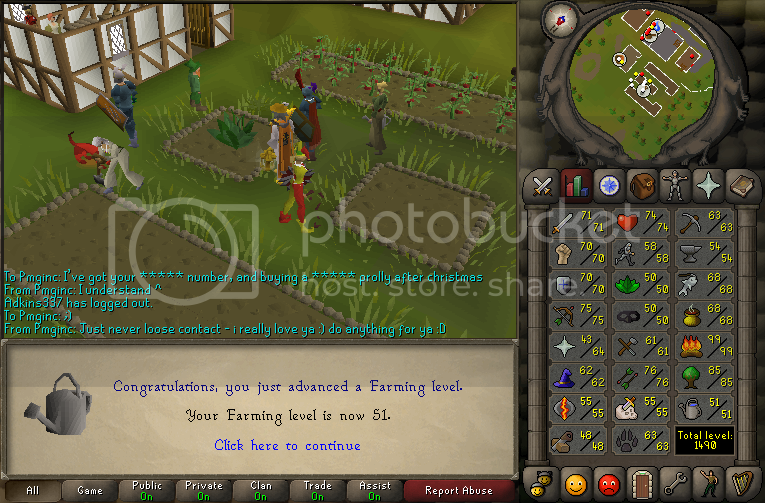 50 Farming, 50 Herblore, 77 fletching, 55 RC, 64 Prayer (70 Banked), 54 smithing. 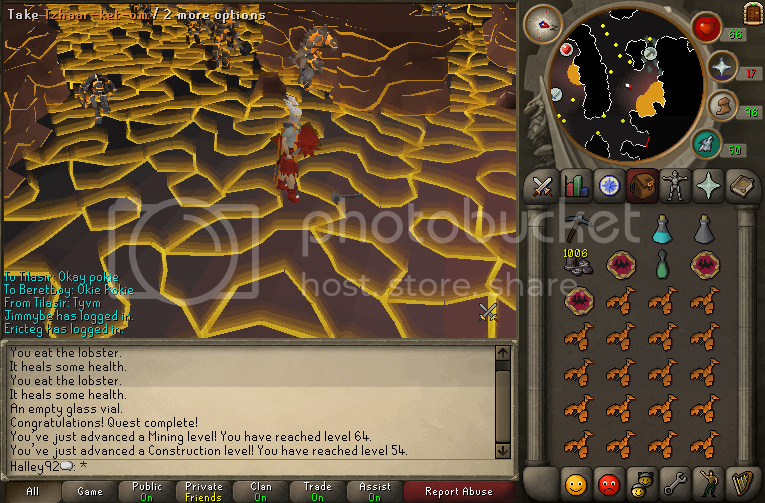 99 Firemaking, followed by a trip to Toboy's POH (Thanks <3) and then later that night off to the RVBB Drop Party. Well, after being nagged for long enough to make this topic, I think it’s about I let my goals be known to all. Some are short, some not so short, and I will be working on them at different times, so come and join me, all support/donations are welcome. More goals will be added later, as I complete some of these. 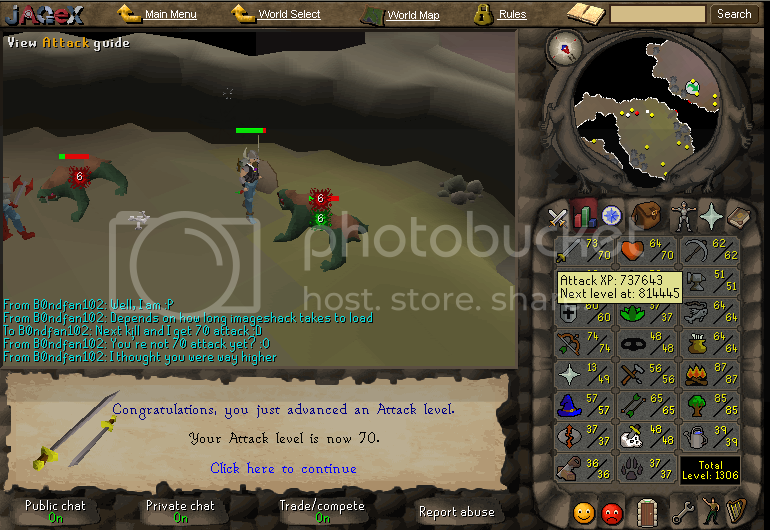 99 Firemaking! ~ Goal complete! 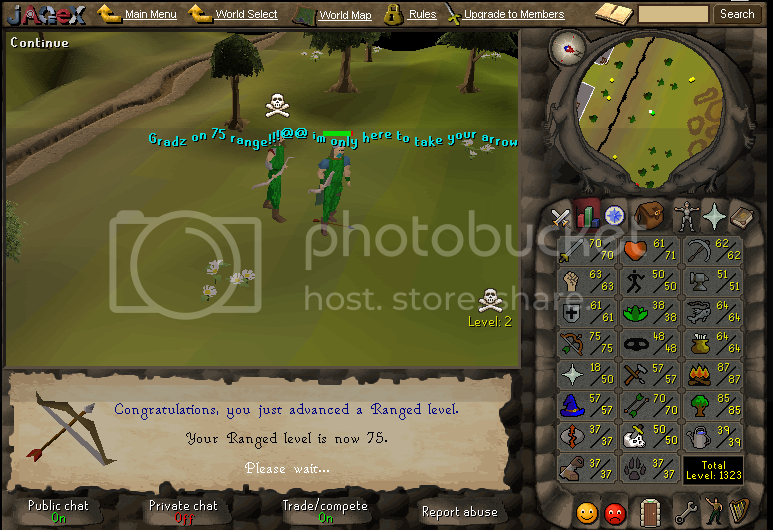 75 range ~ Goal complete! 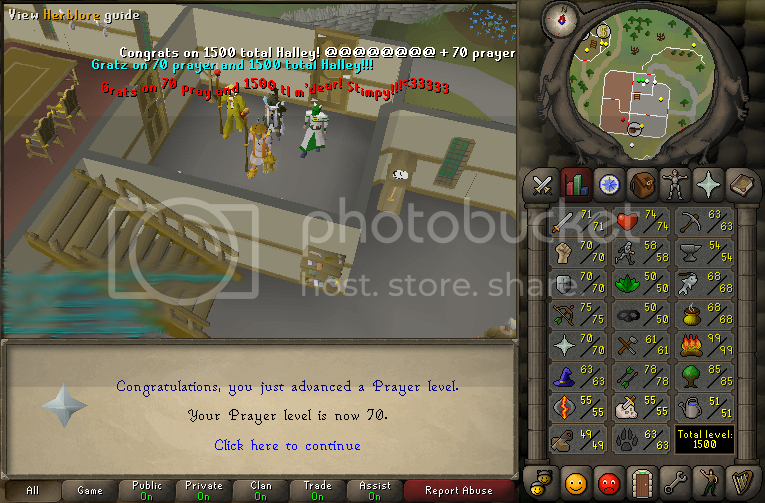 70 prayer ~ Goal complete! 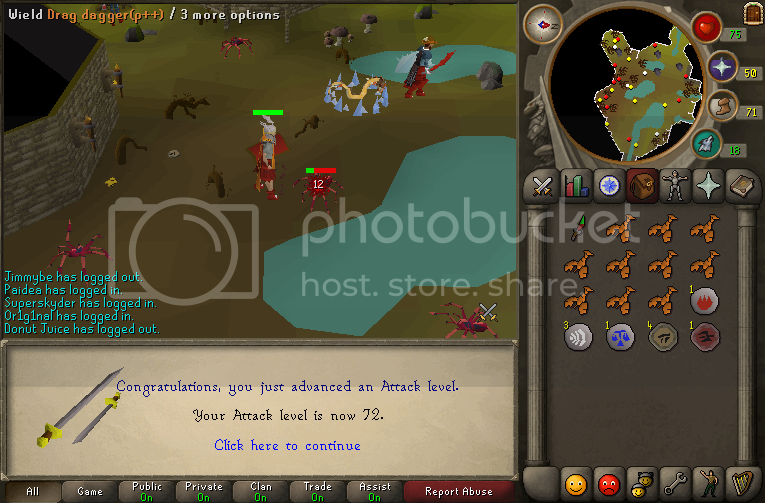 70 attack ~ Goal complete! 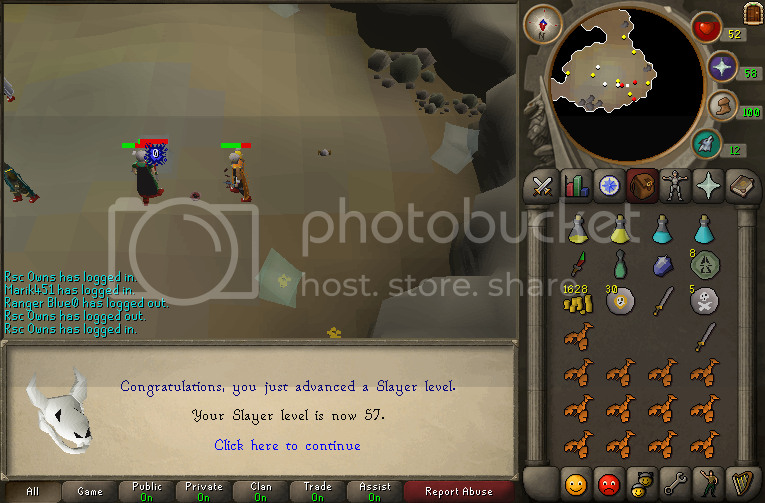 60 prayer ~ Goal complete! 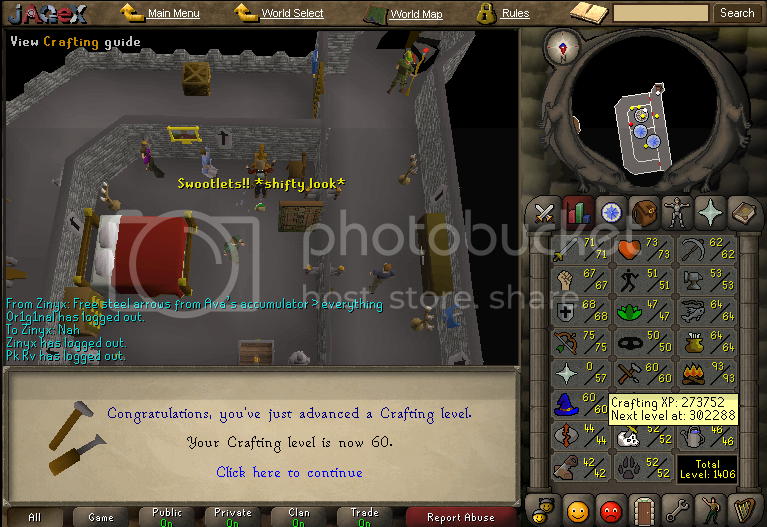 60 crafting ~ Goal complete! 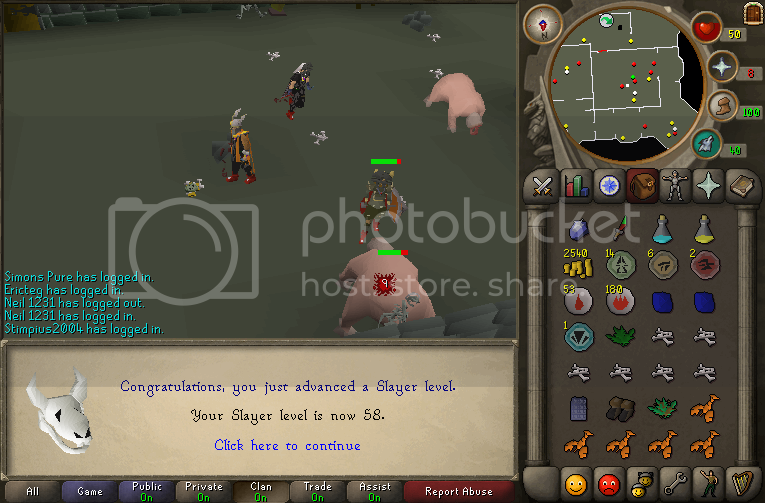 52 slayer ~ Goal complete! 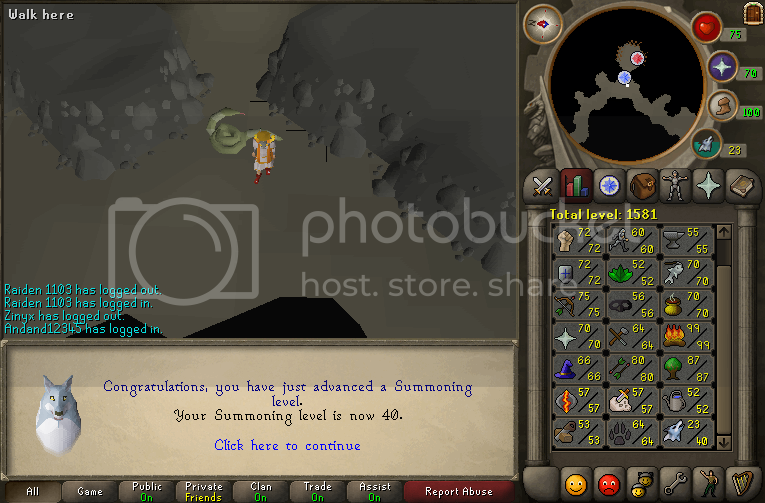 52 prayer ~ Goal complete! 50 theiving ~ Goal complete! 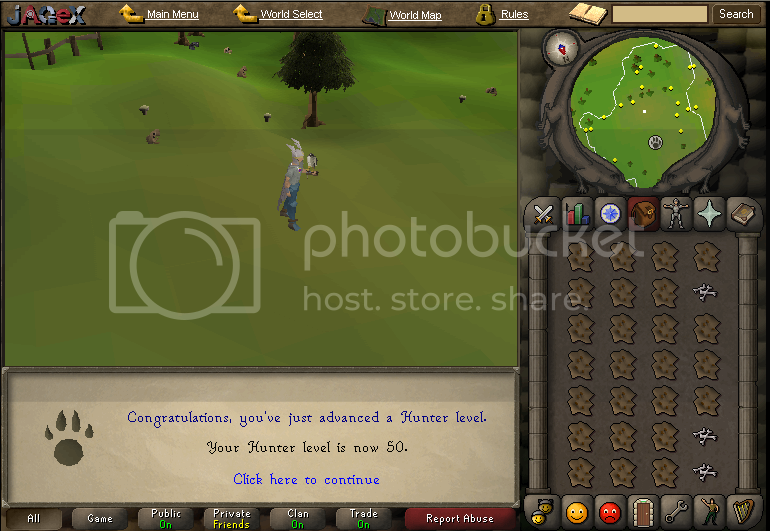 50 hunter ~ Goal complete! 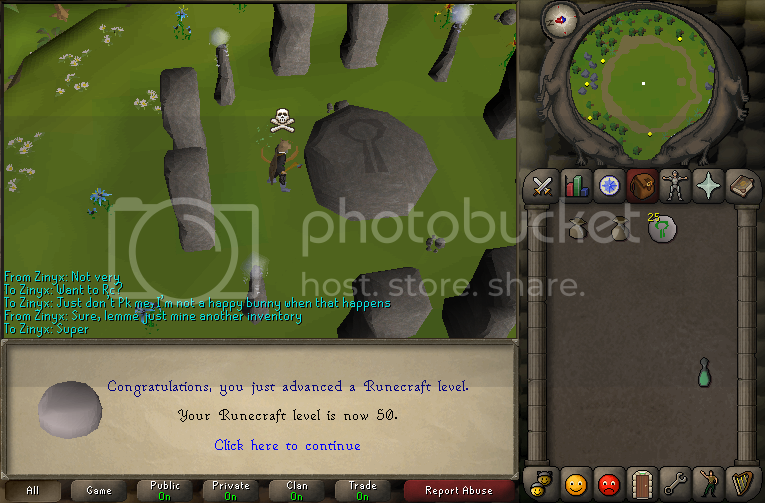 50 runecrafting ~ Goal complete! 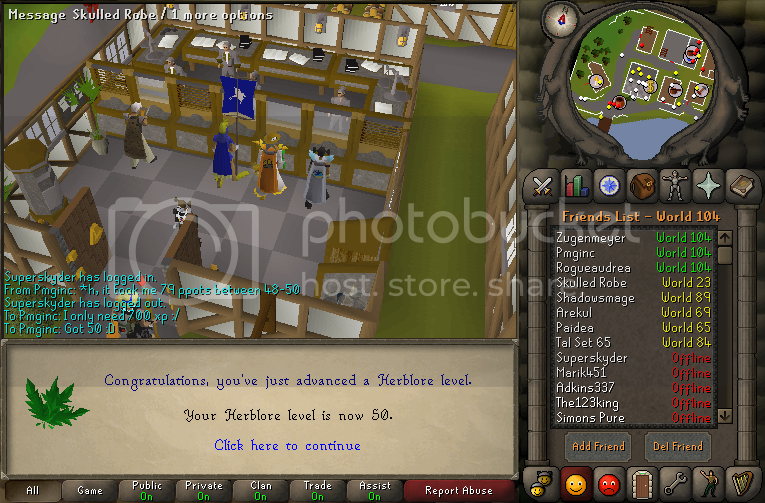 50 herblore ~ Goal complete! 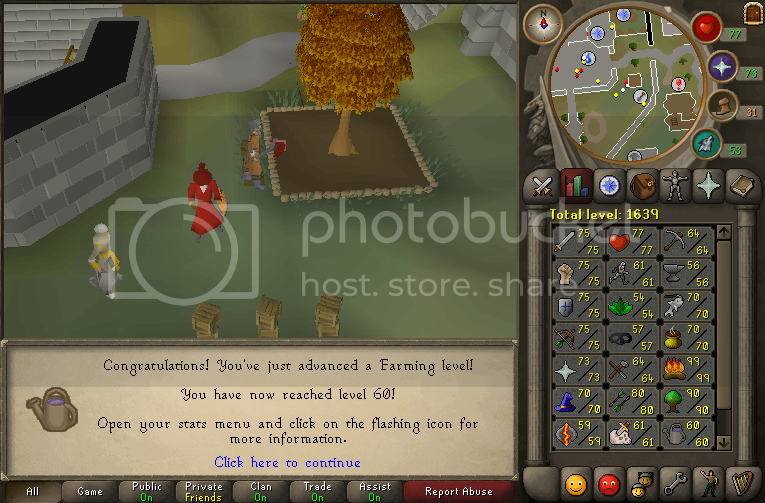 50 farming ~ Goal complete! 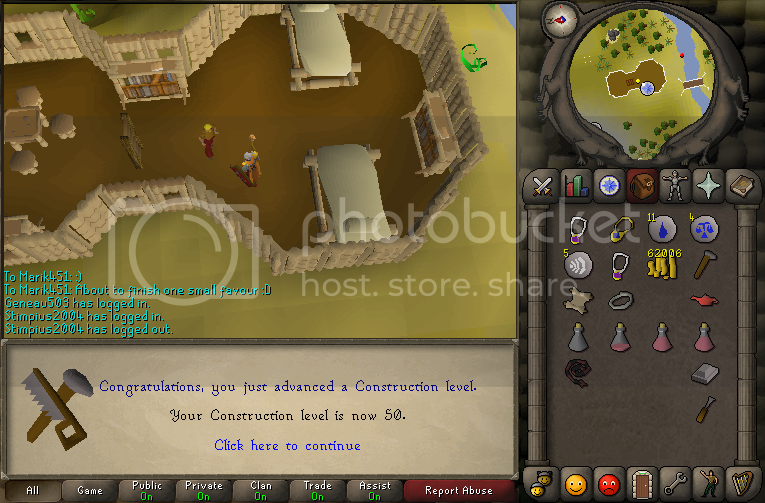 50 construction ~ Goal complete! 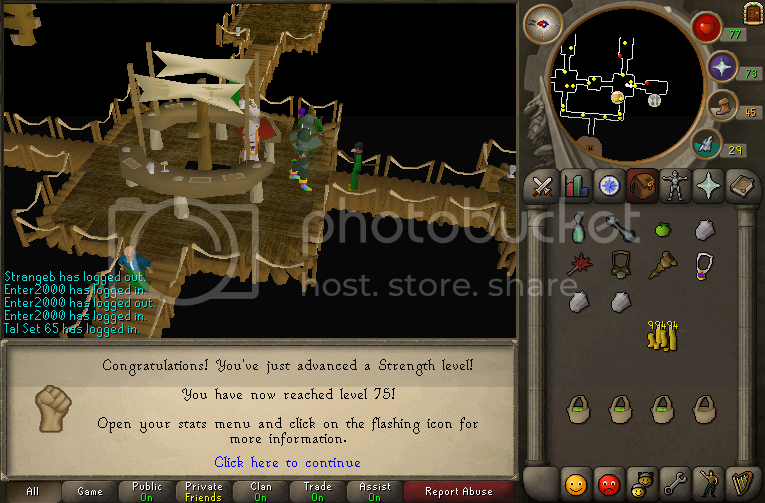 80 Fletching ~ Goal complete! 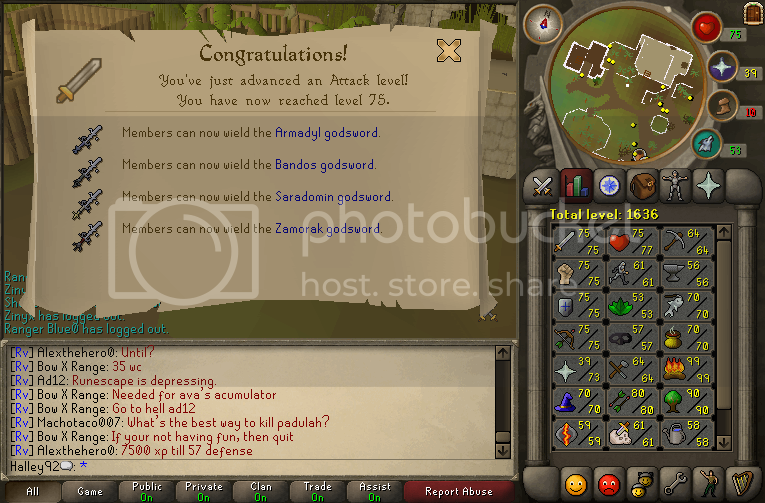 60 agility ~ Goal complete! Stimpy! 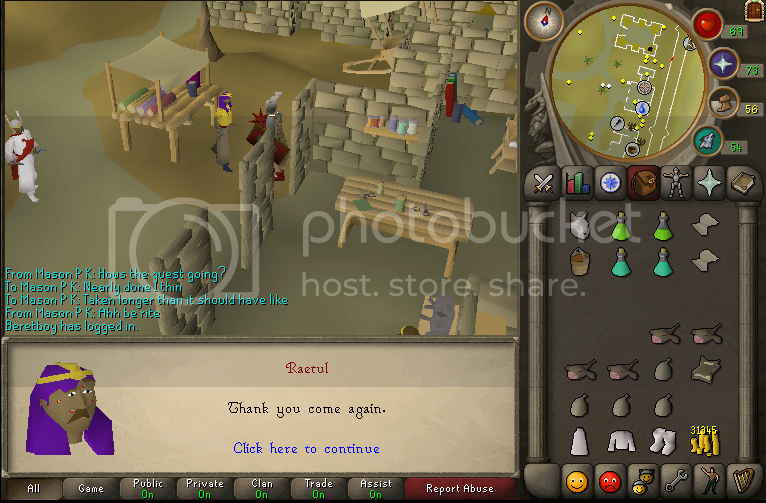 A huge donation of 31,000 maples and 10,000 Pure rune essence! Omegaman1111 = 615 willows and a combat bracelet! 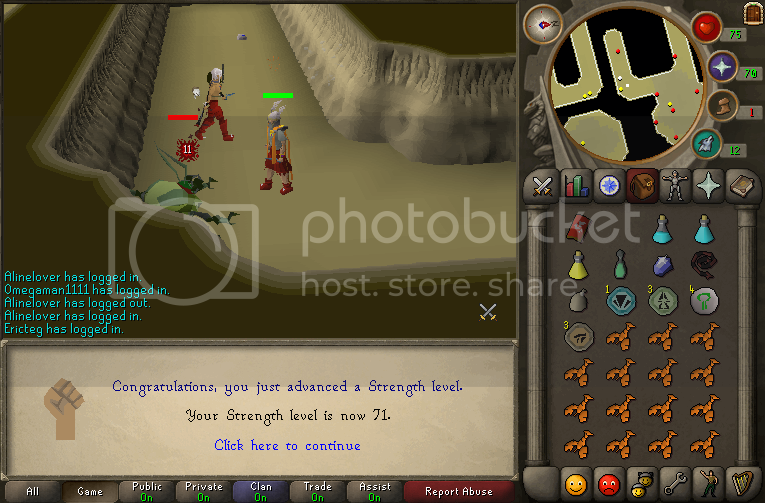 The123Wizard, I'll get those planks someday. 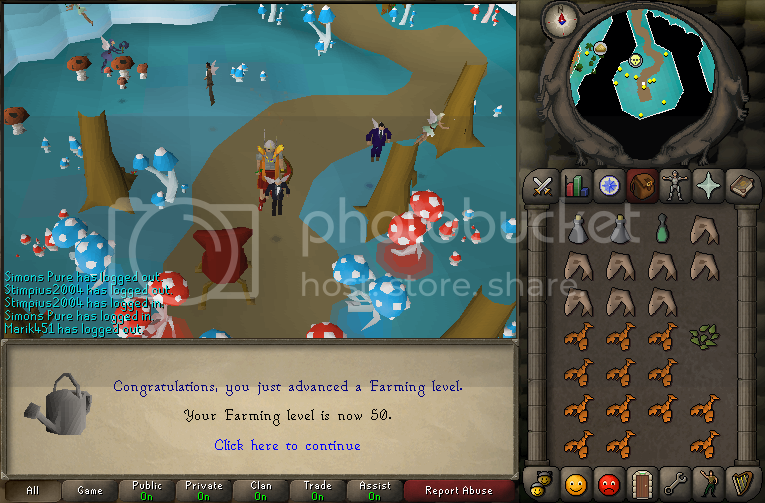 Bex 99, thanks alot - 700+ willows and cheap seeds. Many thanks to Methos12345 for 2011 willows! Jackson3333 - Sara Dragonhide Chaps, thanks alot! Don Toboy - 100 dragon bones! 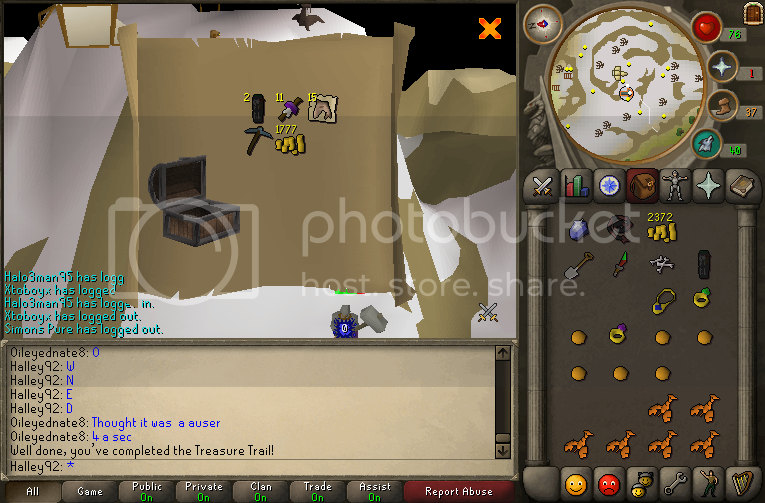 150 big bones, and 500 regular bones cortesy of 4rcher D4nny/Skulled Robe ~ ta pet! Horacekwan - 34 empty vials, 348 willow logs, 120 chocolate dusts, 135 wines of Zamorak and 179 bones. If you have donated but are not on that list, please let me know. Thanks for reading, all much appreciated! Last edited by Halley92 on August 18th, 2008, 7:51 am, edited 199 times in total. I might have some spare willow logs in my bank you can have. It is indeed alot of goals, imagine how long it took to write! I'm not against the idea, I just think that it is stupid and we don't need it. "Anyone can achieve their fullest potential. Who we are might be pre-determined, but the path we follow is always of our own choosing.We should never allow our fears, or the expectations of others to set the frontiers of our destiny. Your destiny can't be changed, but it can be challenged. Every man is born as many men and dies as a single man." 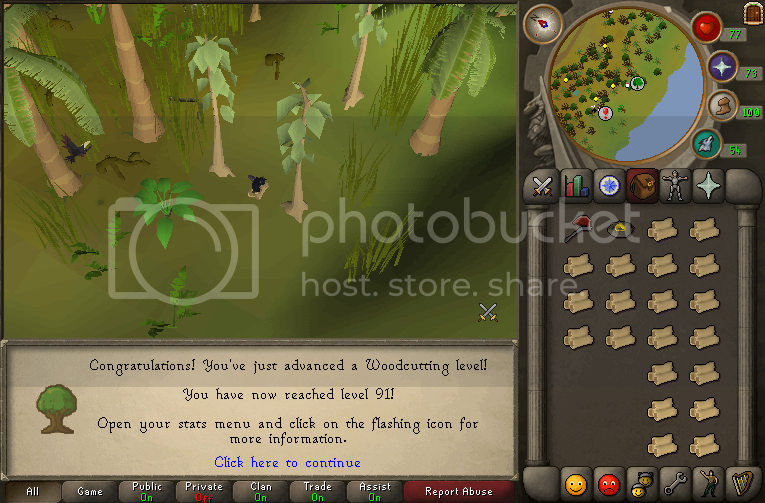 Once I'm done Woodcutting that is. CHEAP?! Hehe, Okies, I might take you up on that. Thanks, I'm not desperate to get them done straight away, but soonish I'd hope. <3 Thanks, and thanks for your donation, that will help me on my way. 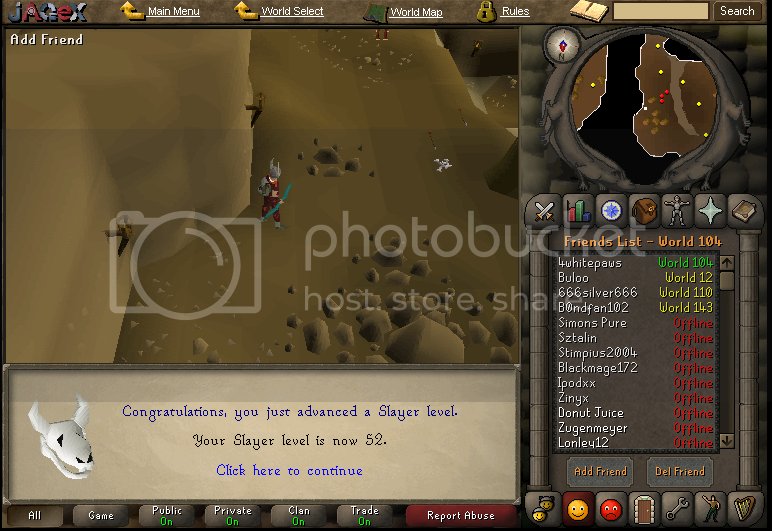 Race to 52 slayer? Okies, your on, I think you will win, I get bored easily, hence the large amount of goals to do in between. I love the setup halley! In the herblore section by zammy monks do you mean chaos druids? Gl with ur goals, I love range too! Location: Under your bed, Eating your Socks! Go Halley! Go 4 whitepawns! Also, in your version of baseball, it's five strikes and you're out, as opposed to three. Good baseball, bro. It's not baseball. It's Jiggly ball. woah... that is a set of goals... good luck! ill help you if you help me k? Steal avatars why don't you! It's nice you humour him too, we all know I will win. Okies, I sure will, thanks for the comments. Sure t'ang! You are already on the donators list, even though it was hardly "cheap"! I'll check your goals later, kay? Thanks, and if you want those knives making, that will help my smithing.